A Butterfly Sanctuary with live indoor aviary and nature-based gift shop. 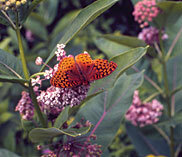 Tours are available at Bear Mountain as well as educational programs and butterfly releases. It is also available for parties and special events. Enjoy the ultimate butterfly experience!